In addition to participating in the rituals associated with each holiday, we bring the community together for some creative programs that make the occasions more fun and memorable. 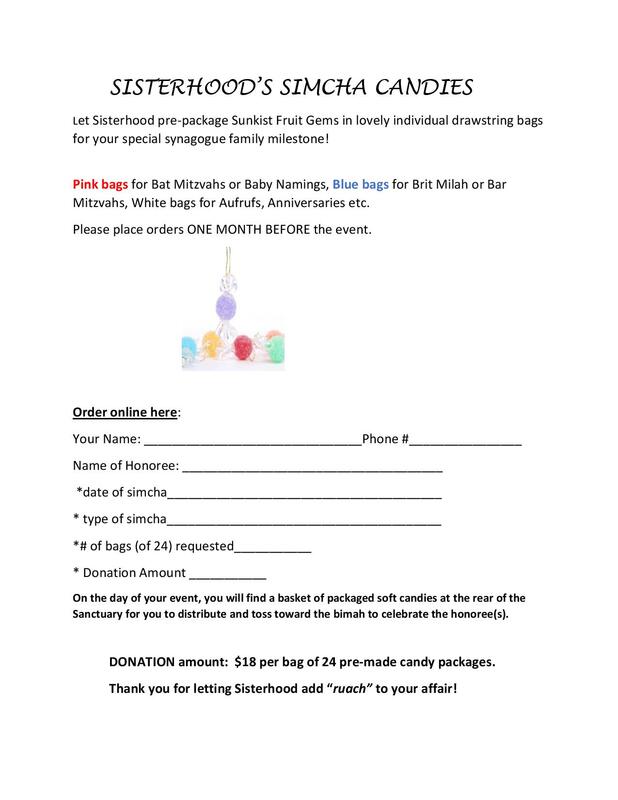 Our City Slickers Western-style Sukkah party and our Lag B’omer Luau or the Megillah Madness Basketball Tournament for Purim night are just a few examples of how we aim to increase the joy of those taking part in the festivities. Of course, food, games and music are a welcome component of these events. 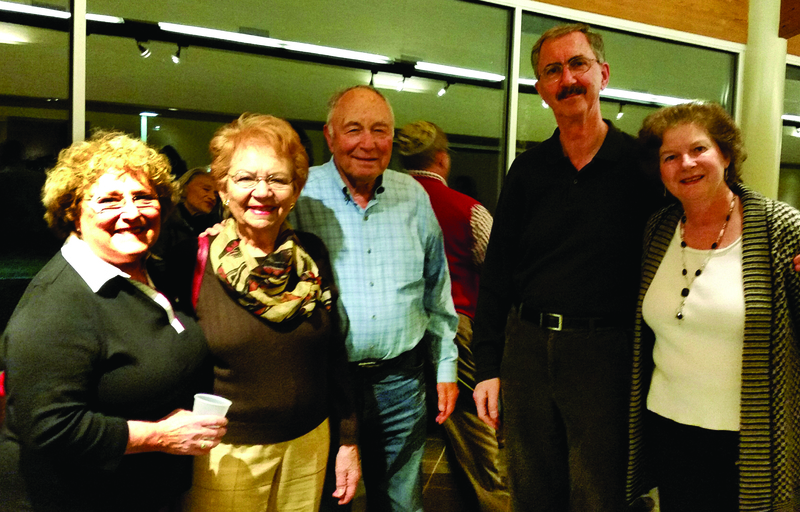 Our “Jewish Journeys” program is a series of conversations in members’ homes. 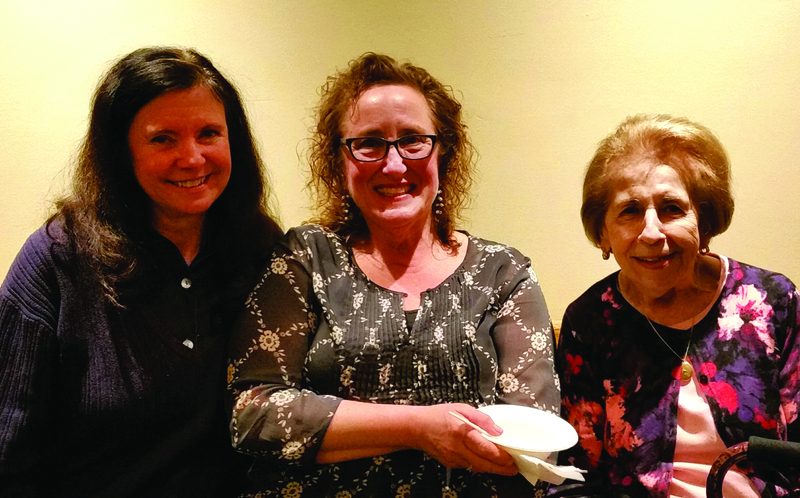 Over 170 families were represented in our first year, “Our Jewish Past,” where members shared their backgrounds and lessons learned over the years. We came to know each other better, and grew the fabric of our community. 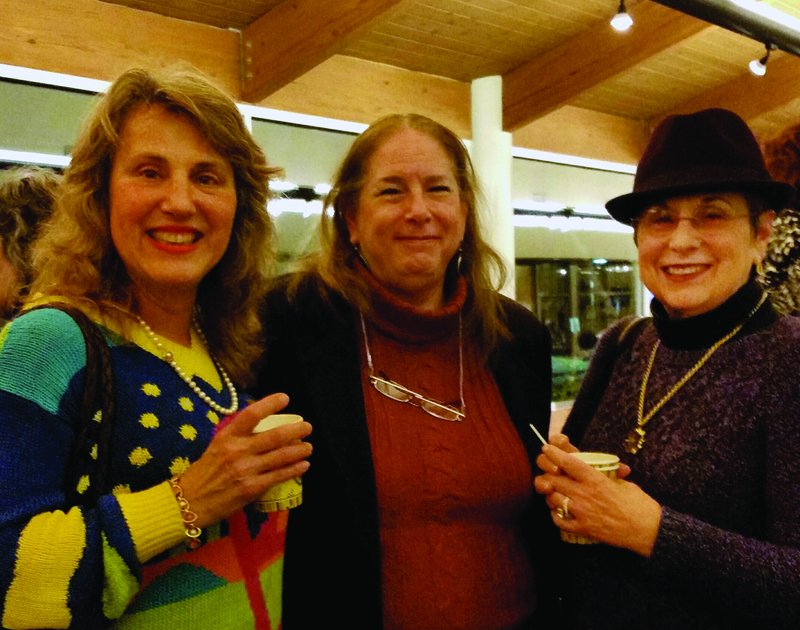 In the fall of 2016, we continued the conversations with “Our Jewish Future.” Contact Rabbi Tobin for more information about these profound and meaningful experiences for members of our congregation. Each year we also arrange group trips to museums and the theater and we have screened relevant films and heard lectures from guest speakers on Israel, Jewish History and Jewish Composers. 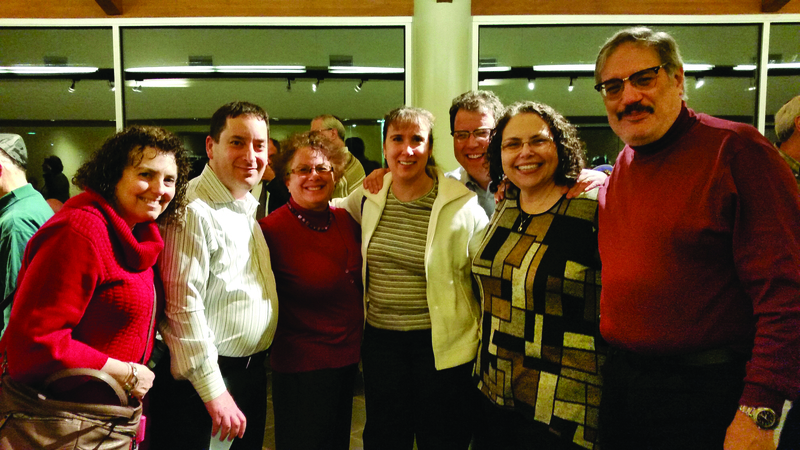 We have also hosted Jewish a Capella singing groups and held musical concerts that enrich our lives at B’nai Shalom. For young families, we have gone apple picking, celebrated Noah at the Turtle Back Zoo, held early Shabbat services and dinners followed by engaging entertainment for the children and parents, witnessed Havdallah under the stars and celebrated grandparents and other significant family members on a Shabbat for the children. 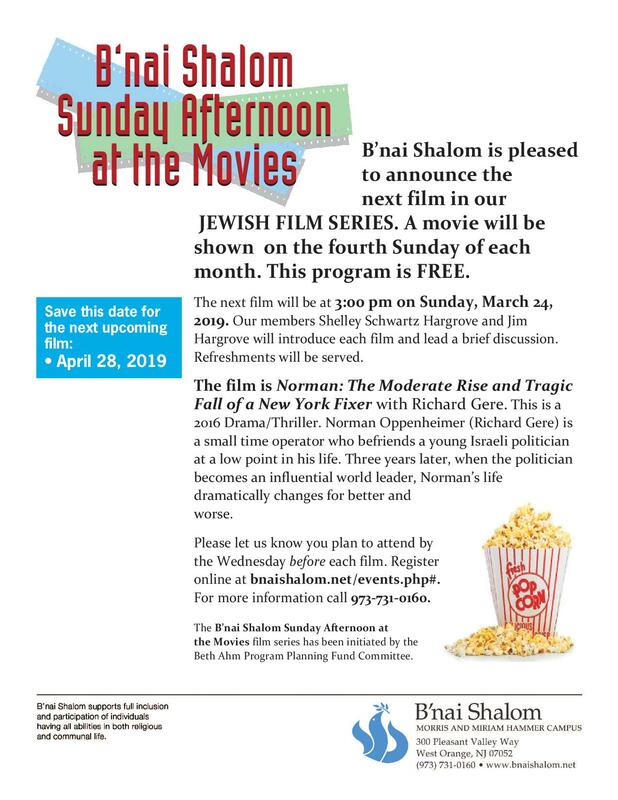 We invite new ideas of how we can better engage you in your Jewish life here and welcome your involvement in our programs to enhance your experience as part of the B’nai Shalom Community. 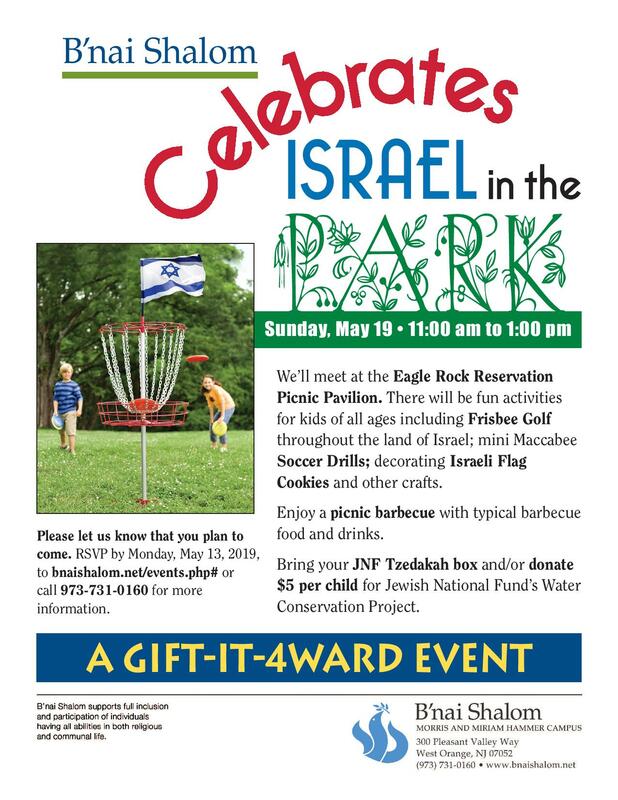 For additional information or to share an idea, please contact Leslie Gleaner, our Programing Coordinator, at programs@bnaishalom.net. You can easily register for any of our up coming events by filling out the form below. Transaction for paid events will safely be processed through PayPal and you will receive an e-mail confirmation of the transaction. The event will be held on April 28, 2019 starting at 3:00 pm and last for 2 hours and 6 minutes. 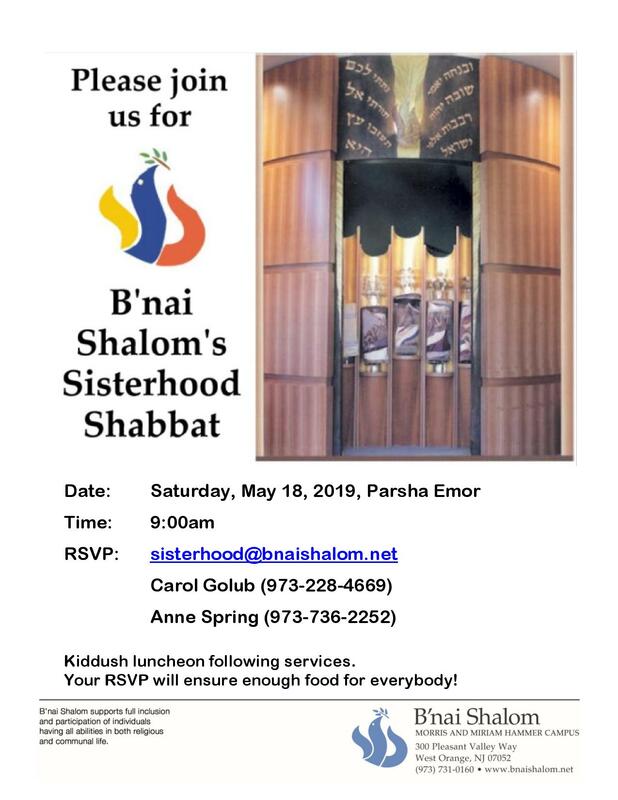 Please contact me regarding membership at B'nai Shalom. The event will be held on June 9, 2019 starting at 11:59 am and last for 1 hours and 4 minutes. Registration for this event will close on June 5, 2019. The event will be held on June 23, 2019 starting at 3:00 pm and last for 1 hours and 26 minutes. The event will be held on May 19, 2019 starting at 3:00 pm and last for 1 hours and 28 minutes. The event will be held on May 19, 2019 starting at 1:00 pm and last for 1 hours. The event will be held on May 29, 2019 starting at 7:00 pm and last for 0 hours and 59 minutes. The event will be held on June 5, 2019 starting at 7:00 pm and last for 1 hours. The event will be held on May 19, 2019 starting at 11:00 am and last for 2 hours. Registration for this event will close on May 14, 2019. The event will be held on May 5, 2019 starting at 1:00 pm and last for 1 hours. The event will be held on May 12, 2019 starting at 10:31 am and last for 1 hours and 8 minutes. The event will be held on April 28, 2019 at 4:00 pm and last for 2 hours and 30 minutes. 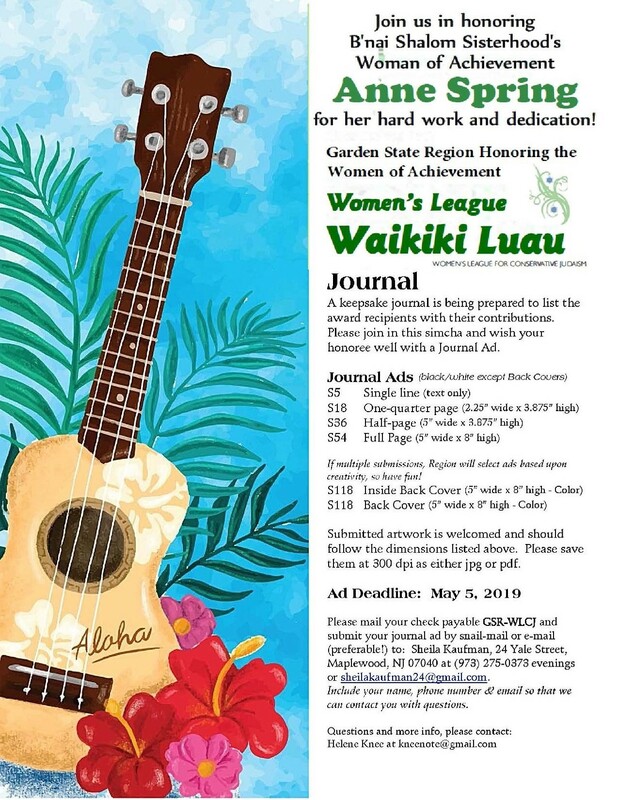 Registration for this event will close on April 23, 2019. 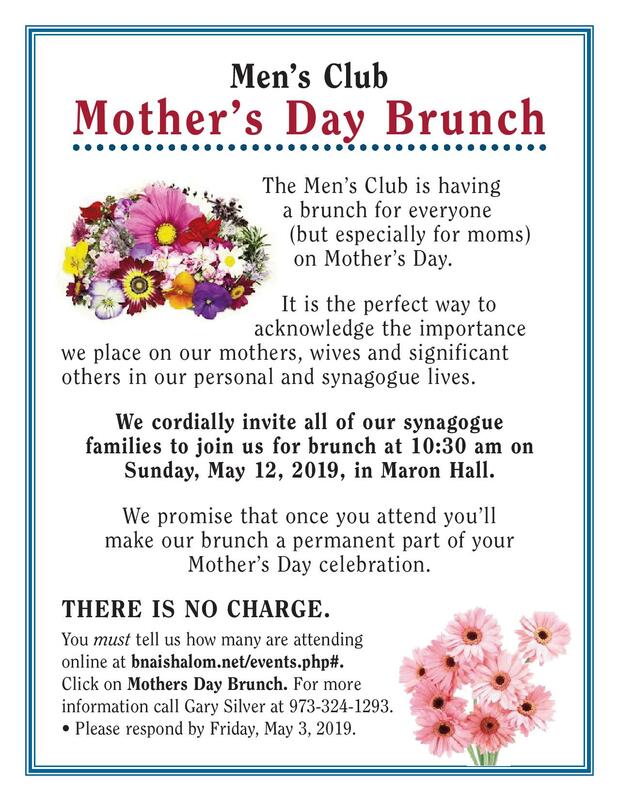 The event will be held on June 9, 2019 at 11:59 am and last for 1 hours and 3 minutes. Registration for this event will close on June 7, 2019. Aviva Kamens was a 2017 graduate of Golda Och Academy in West Orange. At Golda Och, Aviva was a T’fila mentor, wrote and edited for the school newspaper, sang in the High School Choir, and acted or crewed in numerous plays and musicals. 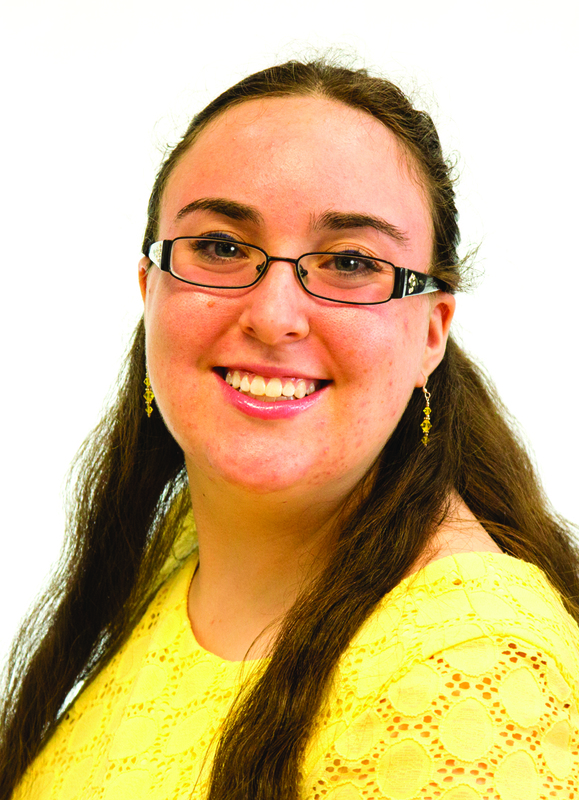 Aviva was an active member of USY and a regional and international leader. She served on the board of her USY chapters in both Highland Park and West Orange, was the Hagalil Region chair of the Abraham Joshua Heschel honor society, and was elected regional Religion/Education Vice President in her senior year. Aviva attended three USY International Conventions and was a fellow in the International USY Torah Bytes study program. A “Ramahnik for life,” Aviva has attended or worked at Camp Ramah in the Berkshires for 11 (going on 12) years. She was a camper from 2008 to 2015, traveled to Poland and Israel with Ramah Seminar in 2016, and is now entering her third year on staff. She is part of the Berkshires Livnot leadership development program, and has attended the Bert B. Weinstein Institute for Staff Training at Camp Ramah in California for the past two years. Aviva is currently a second-year student at the Jewish Theological Seminary’s List College joint program with Columbia University. She is studying for a degree in Theater from Columbia, and a degree in Bible from JTS. 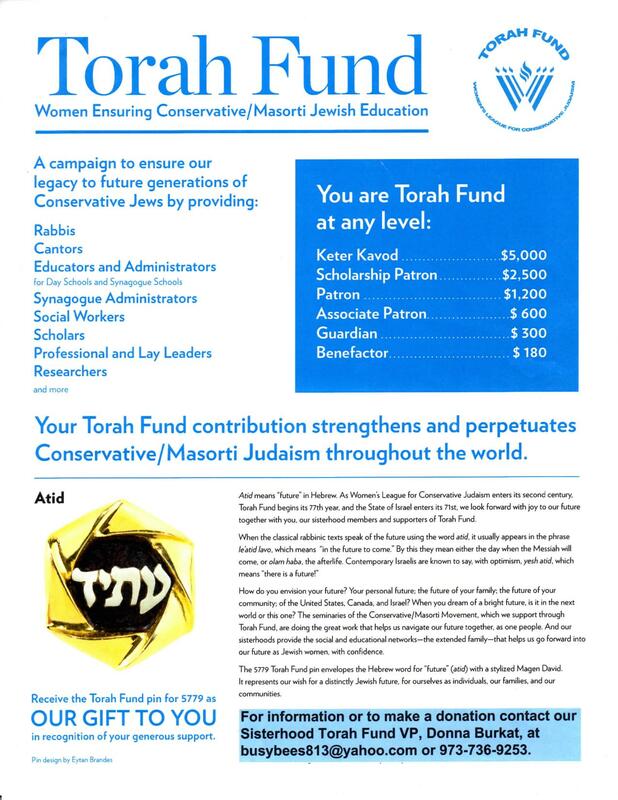 She is the Gabbai of Koach, the Conservative minyan at Columbia/Barnard Hillel, and is also the Technical Director for the Columbia University Performing Arts League (CUPAL), the umbrella organization for all student theater productions on campus. Aviva was honored to receive the 2017 Youth of the Year Award from B’nai Shalom’s Men’s Club. 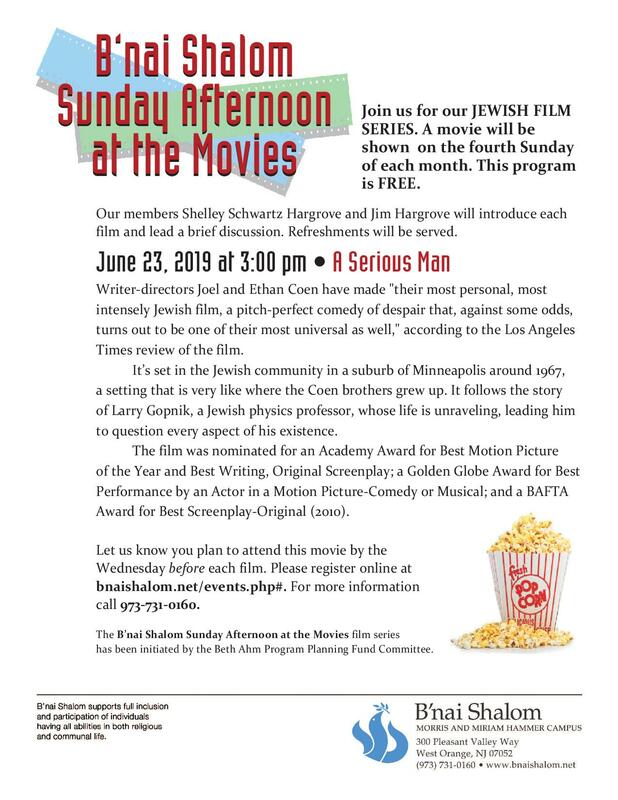 Jeremy Caplan is a proud member of B’nai Shalom. 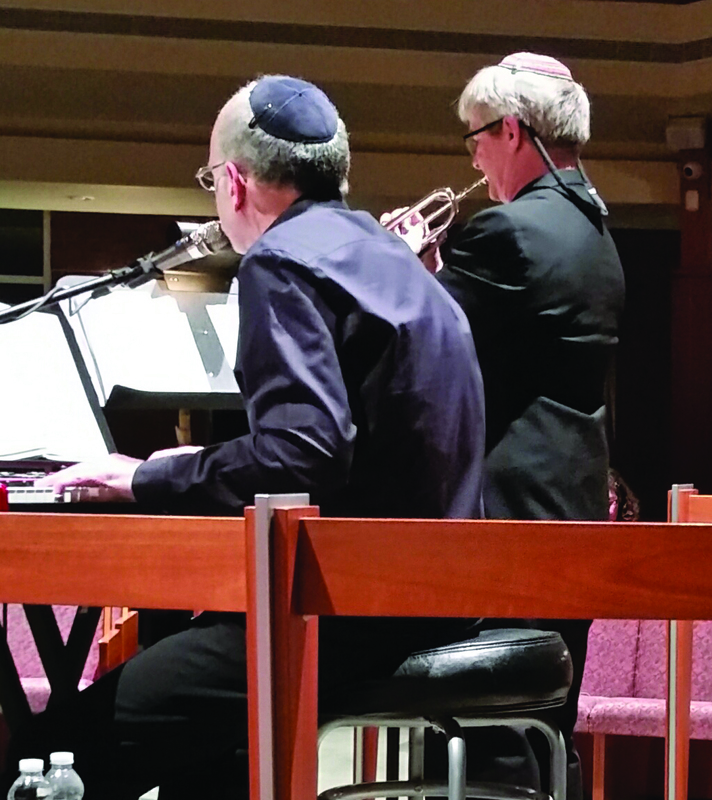 His connection to B’nai Shalom can be traced back to his grandparents, who have been members of the shul for over 40 years. 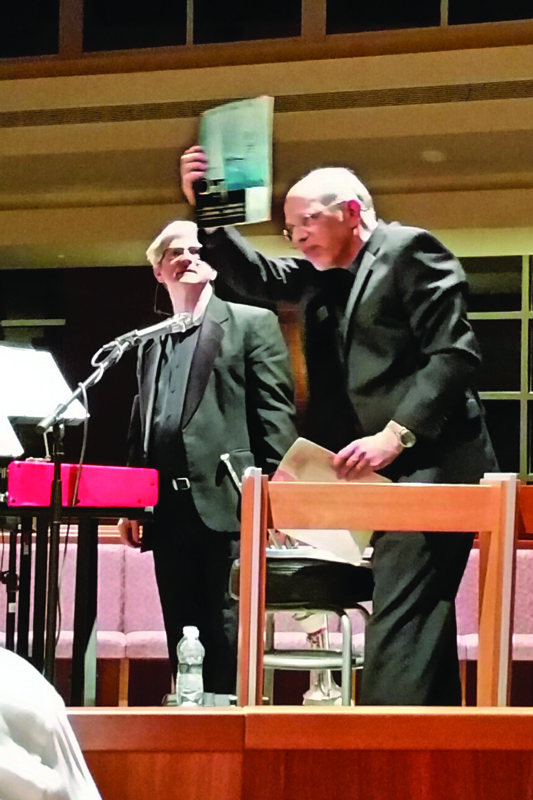 However, it wasn’t until five years ago that Jeremy became part of B’nai Shalom. Although he was born in New York City, Jeremy grew up abroad, living in London, England, and Zurich, Switzerland, for 10 years. 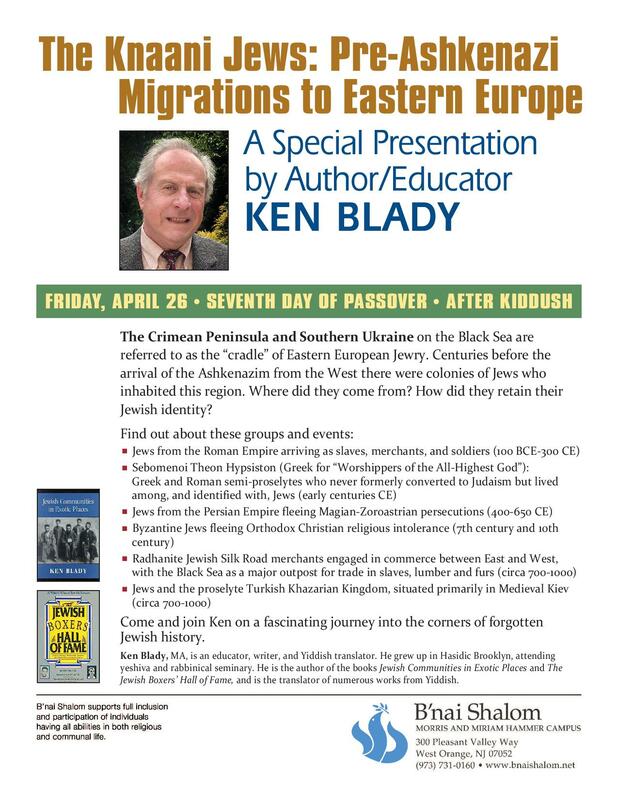 He moved back to America when he was 11 years old and has been part of B’nai Shalom since. He became a bar mitzvah in the same sanctuary where his mother and two aunts were bat mitzvahed. For his bar mitzvah project Jeremy volunteered at the Friendship Circle, where he helped children with special needs. Upon his completion of Hebrew school, Jeremy was invited back to serve as an Ozer, helping to teach the younger children. He plans to continue in this role until he graduates from high school. He also tutors at the Religious School on Sunday mornings. 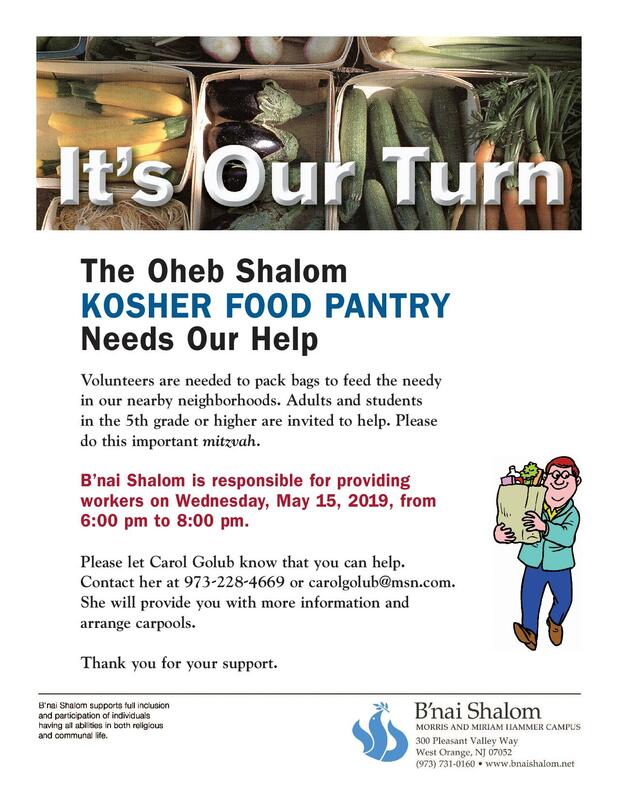 He helps out at shul when it’s time to assemble and deliver mishloach manot for Purim, make a minyan, or deliver challah to the elderly through the MetroWest Federation. Jeremy is involved in B’nai Shalom’s USY chapter and is a member of the Board. Jeremy has been a leader in his sleepaway camp community. 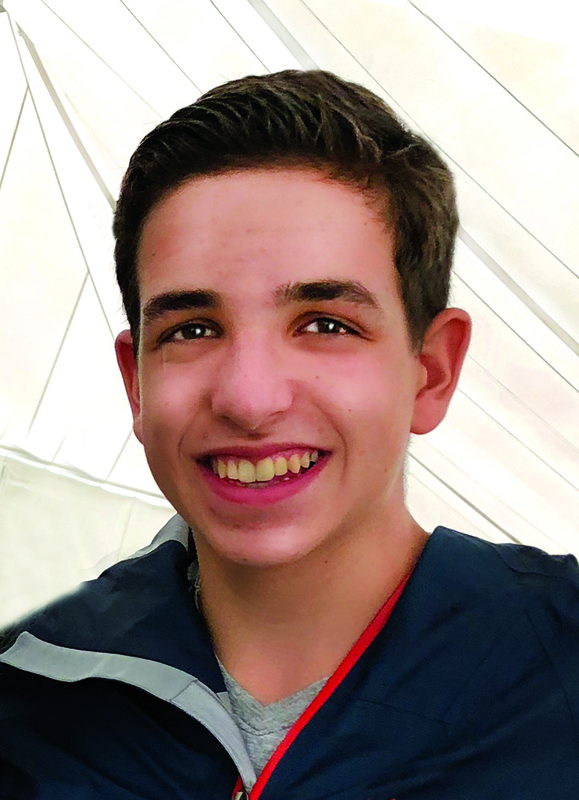 While a camper at Camp Micah in Bridgton, Maine, he received the Kavod Award, which is awarded to campers who show immense integrity and honor. In his last year at camp this past summer Jeremy was awarded the Milton Tatelman Award. This prestigious award is only given out to one boy and one girl camper in their final camp year. The entire camp staff votes on the recipient. The award is bestowed upon the camper who exemplifies the Camp Micah philosophy of being a leader, is kind-hearted, respectful, friendly, caring, and an honorable member of their community. Jeremy is a sophomore at West Essex Regional High School. He has achieved Honor Roll every year since entering middle school and is a member of the National Jr. Honor Society. He plays trumpet in the concert band. He swims on the varsity swim team, and is an active member of the Debate Club, Model UN, DECA (Distributive Education Clubs of America), where he was the only freshman from his school to make it to States, the next level in the competition, and the Key Club, a community service club. The Patron Reception is a one-hour meet-and-greet event with an opportunity to speak directly with Ambassador Oren along with other patrons. The event will be held in a separate area from the main event. Hors d’oeuvres and refreshments will be severed. There will be photo opportunities with the Ambassador and for those who own one of his books, he will gladly sign your copy. There will not be any books for sale at this event. Patrons will have priority seating at the main presentation. This special half-hour session is something that Dr. Oren requested as he wants a chance to meet and talk to our future leaders. This event is open ONLY to high school, undergraduate and graduate students. Light refreshments will be served. Participants of the Youth Talk are welcome to join the main presentation. The PLATINUM LEVEL includes four (4) tickets to the Patron Reception - $1,500. The GOLD LEVEL includes two (2) tickets to the Patron Reception - $1,000. Sponsors will be recognized at the event and will have prime seating at the main presentation.